First an apology: I’m typing this letter to post it on my blog rather than grabbing my pen and a piece of paper. It’s not that I can’t write any more in a traditional way. But on the one hand it would be a bit tricky to upload a handwritten letter to my blog (and I admit it has to be on my blog for anyone to read and of course I want clicks in my statistics). On the other hand it’s quite comfy typing in a foreign language and relying on the spell checker to mark typos whereever they appear (thanks Internet). Of course this won’t turn my writing into a perfect English text – so don’t be too harsh. 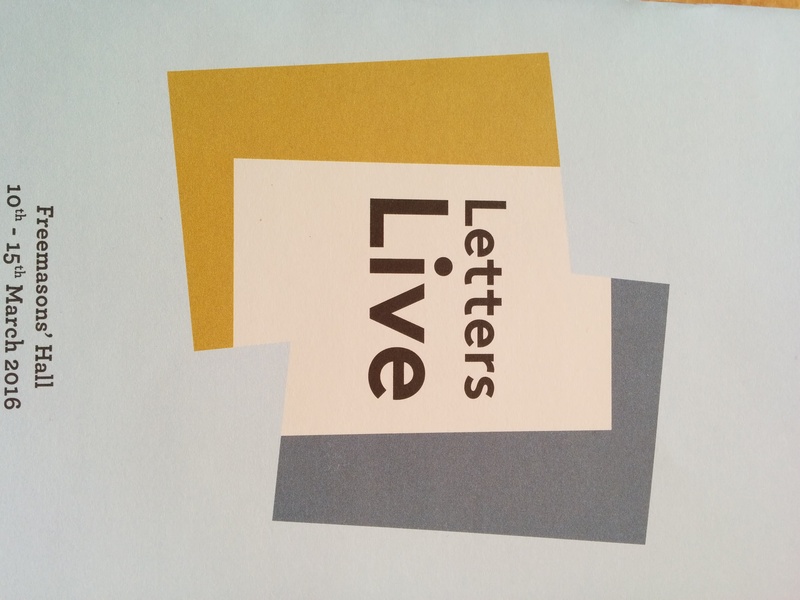 I have no idea when I learnt about Letters Live but when I stared at your event in 2015 I was jealous and envy because I wasn’t able to be there. You know, sometimes real life is a bit bitchy when it comes to a fixed schedule that can’t be changed. So I decided I had to be there the next time, whatever it would take. Given the fact that London isn’t just a taxi drive away, I planned holidays around the event as soon as I knew the dates and bought tix the moment they went on sale – and blamed myself for torturing my credit card without knowing a single performer for the weeks to come. When it was clear that my adored actor and beloved human being Benedict Cumberbatch would be there (after all he is to blame for my interest in Letters Live and so much more), I knew that I might have a chance to see him live on stage again after having the privilege to attend two of his Hamlets last year. Now, that Letters Live is over, there is nothing to complain about. What a unique experience this was. What a homage to the written word, to letters that gave insight looks into private lives that otherwise would have been hidden from the public ear. I laughed and cried and felt myself at the right place at the right time, taking unforgettable moments back home. Hope to catch you again next year.